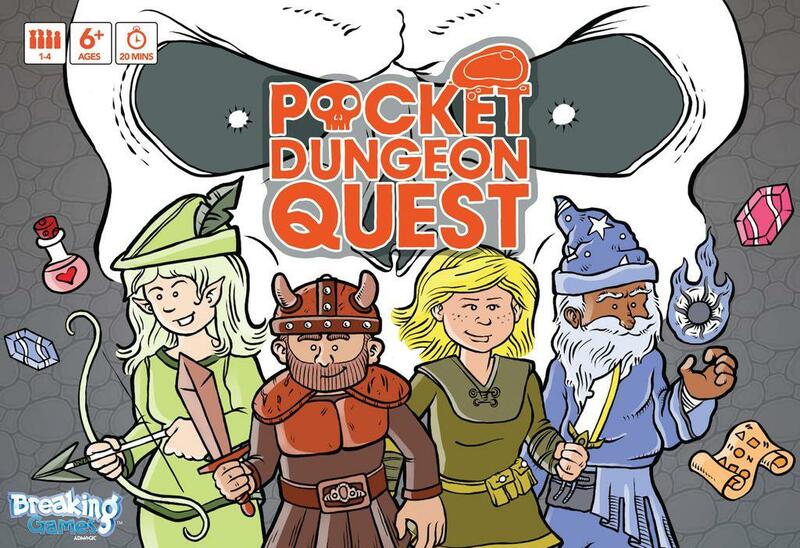 Pocket Dungeon Quest is a simplified, casual rogue-like tabletop adventure for 2-4 players. 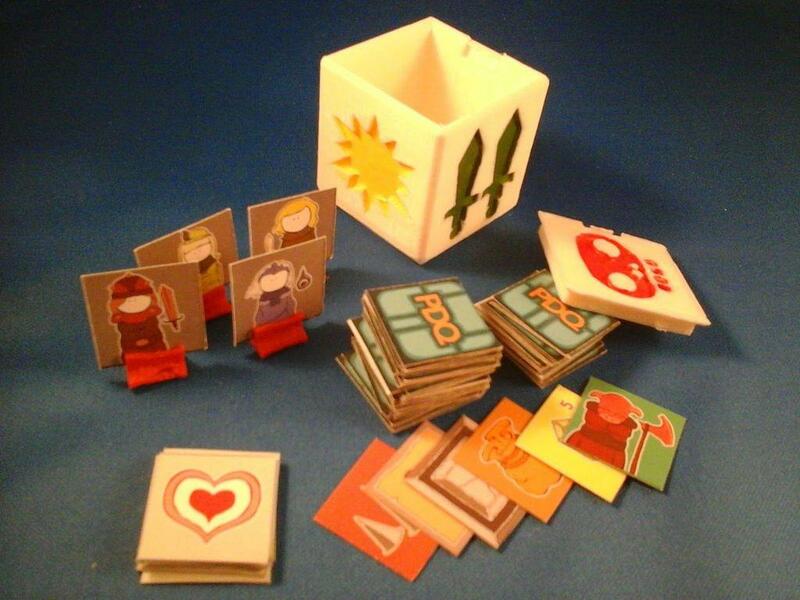 PDQ is a unique tabletop game that is inspired by classic video games such as Rogue and Sword of Fargoal. This original board game is made up entirely of tiles that represent a dungeon, monsters and the items that could be found within. Basic gameplay begins by randomizing the dungeon. Every player chooses their hero from four unique classes. Each class has a unique skill that will aid in the dungeon crawl. Heroes move and reveal more of the dungeon each turn. Monsters are fought easily with a die roll. Spells and items are used to augment the attacks. The game is won by finding the three relics and the exit without losing a single member of the party. Good luck!